Smoothies are a dime a dozen, but one that fills you up, tastes delicious, and is healthy…well that’s pretty rare. 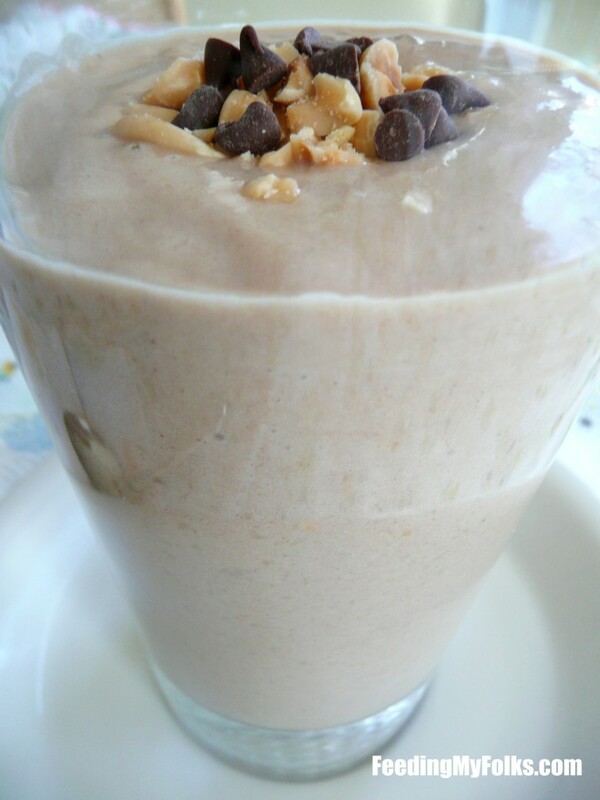 The combination of peanut butter and bananas can never go wrong, and in this recipe they’re blended to silky smooth perfection. The smoothie gets thick, creamy, and decadent while giving you the necessary nutrition to energize you throughout the day. In order to deepen the flavors, cocoa powder is sprinkled into the mix…you can’t really pinpoint it with each sip, but the results are lip-smackin’ good. It’s a perfect smoothie for breakfast, after working out, or even as a dessert. 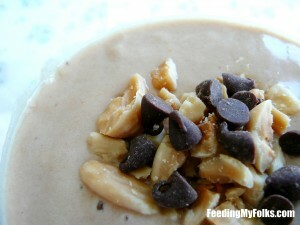 If you want to sweeten it up, add a tablespoon of honey when blending, but I absolutely love it without. Enjoy! Add all the ingredients to a blender. Blend until smooth. Pour into glass and garnish with crushed peanuts/almonds (optional).